Xiaomi Diag Tool is a small application for windows computer created by android service area, which allows you to check hardware of your xiaomi smartphone and teblets and generate the report of it. It allows you to perform the full diagnosis of xiaomi smartphone battery, bluetooth , Gps, Wi-fi , Ram , Internal Storage And Cpu. In order to use the xiaomi diag tool, you need to install the Universal Adb Driver on your computer. After installing the adb driver, you need to connect your xiaomi smartphone to the computer using the usb cable. 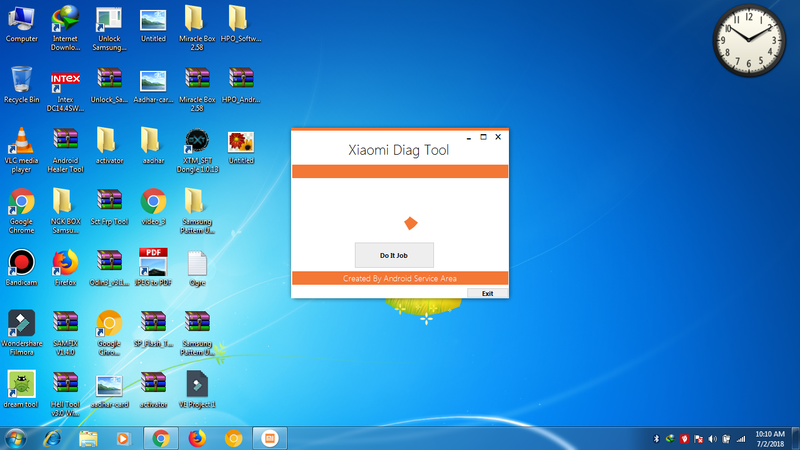 Once your device is connected to the computer, launch the xiaomi diag tool and click on do it job button to begin the diagnosis process.